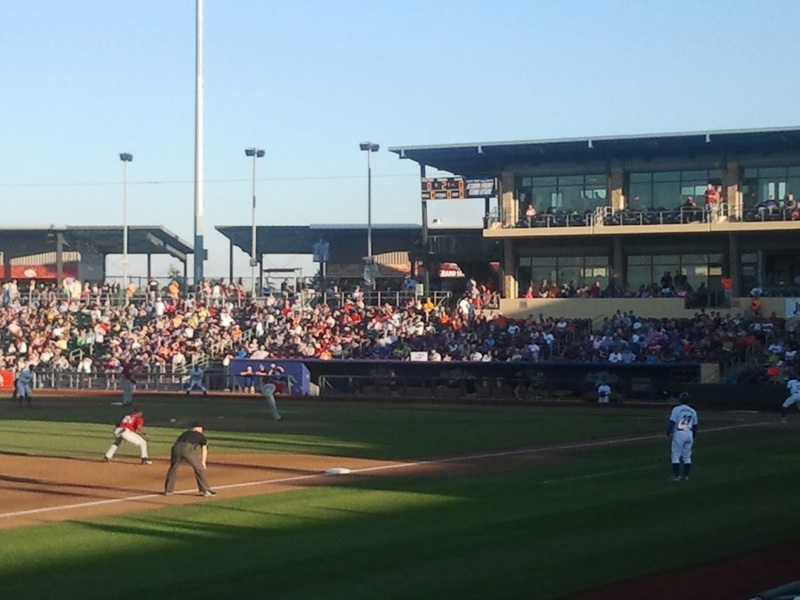 The Storm Chasers looked very good against the lowly Nashville Sound last night. The team gave pitcher Chris Dwyer plenty of support, leading the team to a 6-1 victory. Despite being 5 games under .500 Omaha is now only 1 game behind the division leading Memphis Redbirds. This is almost getting routine. Matt Harvey went 7 innings today, striking out 10 and allowing zero runs. From the outset Harvey was in control and had overpowering stuff. He honestly looked like a young Justin Verlander today. Harvey set the tone by starting off the game throwing 98-99 on each fastball in the first inning. Whats even more impressive is the fact that this was against the Phillies who have been playing pretty good baseball as of late. Hopefully Harvey can get the run support that he received today for the rest of the season. That would really help him limit his innings, plus he might get to 15 wins?? I had a front row seat and a good standing spot in the outfield for Manny Ramirez's at bats last night. Ramirez was 3-5, including the game winning home run in the 9th. Manny's bat speed was good and he had no trouble going with pitches as well. I was actually in the outfield for his game winning home run. It seemed like a comet coming back to the earth. You can check out the game winner HERE. Zack Wheeler was effectively wild yesterday in his win against the Giants. Over his 7 innings of work he had 3 walks, 5 k's and only gave up 1 run. This was the Wheeler that everyone expected. The Giant hitters were totally off balance the whole day. After the all-star break the Met;s could be in for a big second half with Wheeler and a rested Matt Harvey. Just as many writers were calling the Pirates the best team in baseball, they are caught in a 4 game losing streak. After the historic collapse last year, the Pirates may limp into the All-Star break on a low note. The good news is that they have a home series against the Met's to end out the first half. The Met's have been playing pretty well this week, but will be traveling back from a long series in San Francisco. To Avoid another collapse it would be good to see the Pirates pick up a veteran hitter or another arm. Russell Martin and A.J. Burnett are really the only players on this team that have been through a real pennant chase. Hopefully the Pirates have learned from last year and have a plan in place. Is it possible that the Met's have another star pitcher on their roster besides Matt Harvey and Zack Wheeler? Jeremy Hefner had another strong outing on Sunday afternoon against the Brewers. Over 7 innings Hefner only gave up 1 run on 2 hits, with 8 strikeouts. Hefner has truly learned how to pitch this year. He does not have overpowering stuff. He does have command of his pitches and keeps the hitters off balance though. In other words, he is a pitcher and not a thrower. A part of me wonders if having an ace like Matt Harvey ups the game of the other pitchers. Winning is contagious, and it's starts like this that can have a snowball effect on a team. 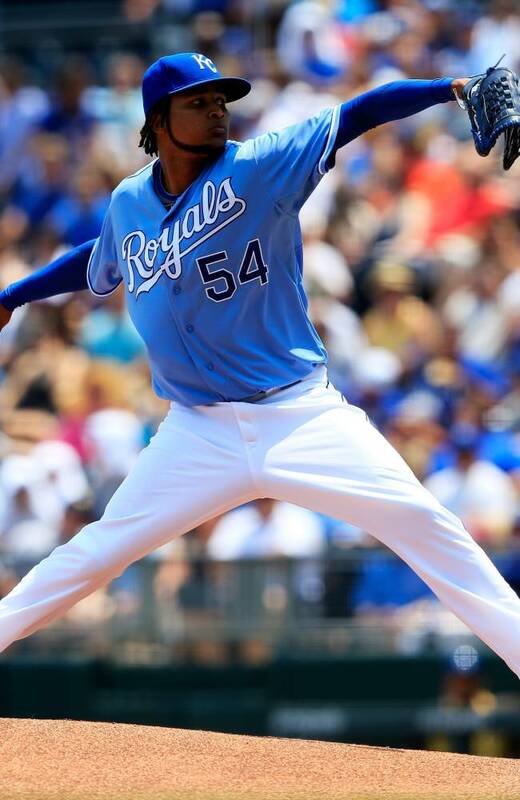 Behind the arm of Ervin Santana the Royals win the second game of the three game series. After a lackluster effort on Friday night K.C. played a solid 9 inning game last night. It's good to see that this team can pull out 4-3 games and not have to rely on getting 8 runs each night. The starting pitching for the Royals continues to be the highest quality that they have had for years. Might a good week this team could be over .500. I was honestly surprised at how well Ike Davis did yesterday against the Brewers. 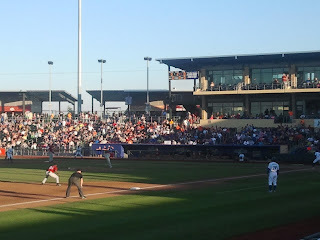 Coming back to the Met's after a successful run in Las Vegas, Davis went 3-5 with 2 rbi. To the naked eye he still has a big hitch in his swing, but it looks a bit more compact than before. You have to remember this was just one game though, one game where the Mets chased Brewers starter Johnny Hellweg in the fourth inning. Davis is going to have to remain pretty hot if he wants to get his average over .200. I'm comforted that the Mets kept Josh Satin on the roster to plug in if Davis starts to struggle. 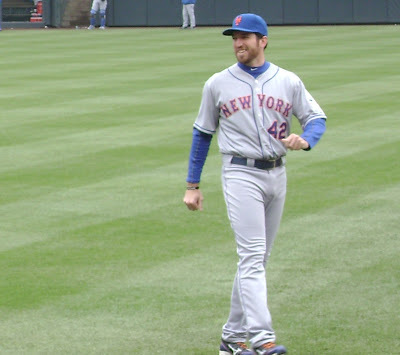 Maybe the Met's should reconsider what they do with Ike Davis? 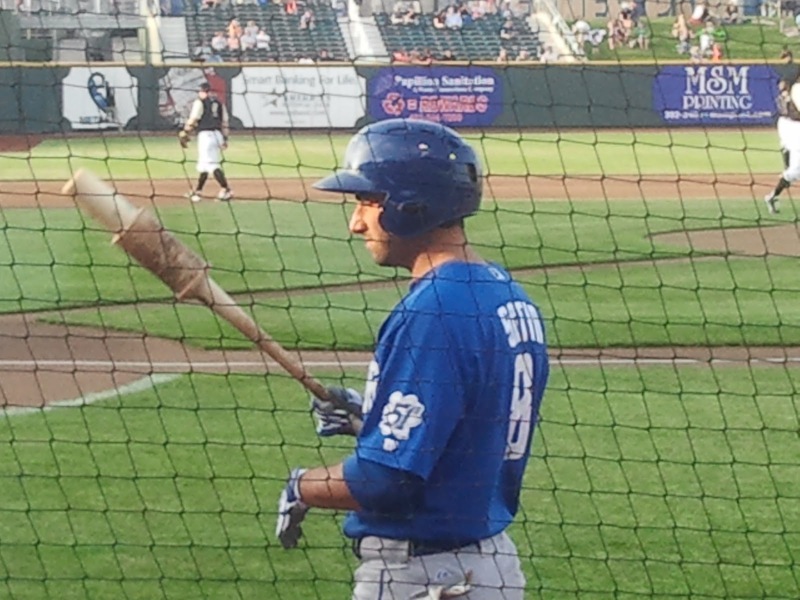 Over his 14 games with the Met's this year Josh Satin has hit .375 with 4 doubles and 4 runs batted in. More importantly he has not made the mental mistakes that Ike Davis was making in the field. Satin does not have the power of Davis, but he also does not have the batting average baggage that comes with a big swing. 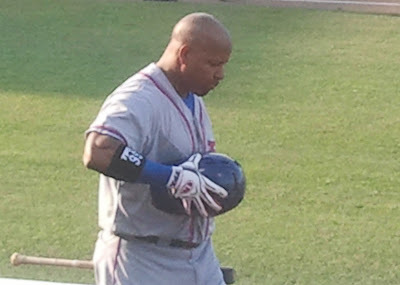 Since the Met's basically called up their farm team to play, they have actually played some good baseball. Adding in Eric Young through a trade even gave them someone who is exciting. With the season on the brink of going out of control, the Met's need to get back to basics. They need players who can hit over .250, play good defense and make something happen when they are on the base paths. Ike Davis and Lucas Duda may not fit into this type of game plan. June could have went all summer if Eric Hosmer and his Kansas City Royals teammates had any say in the matter. Hosmer batted .303 with 6 homer runs during the month, while the Royals went 16-11. Despite the rough patch that they went through in May, the Royals are now only 4.5 behind the Detroit Tigers for the top position in the A.L. central. Hosmer has made some small changes to his approach at the plate since George Brett came on as the hitting coach. Mike Moustakas, David Lough and Lorenzo Cain have also made changes and are now playing up to their potential. It seems that the Royals have regained their swagger and are playing the type of ball that their fans and followers expected this year. This is the type of team that should be scoring 7 runs a game. They also need to win in streaks while a few of the players are hot. They will have lows where no one is hitting, but with the quality arms they now have on their staff they should be able to stay in games in most situations.